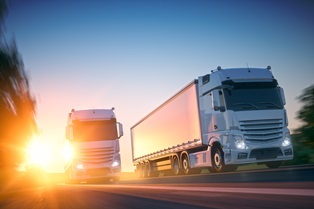 How can a truck’s black box data be used to help my truck accident case? You’ve probably heard of black boxes related to airline crashes. This vital piece of equipment can tell investigators a great deal about what might have caused a crash when no other evidence exists. People are often surprised to learn that many commercial semi-trucks also have black boxes. Known as an Event Data Recorder (EDR), this device records important information about the truck driver’s actions. If you are injured or a loved one is killed in a crash with a semi-truck, the EDR could provide the evidence needed to show fault and support your claim for compensation. Data from the EDR could show if the truck driver was speeding, if he didn’t apply the brakes—which can be an indication of distracted driving—and whether he took the required rest breaks. Any of these violations could prove his liability and support your claim for compensation. The trucking company and its insurance company are not going to hand over this evidence easily. When you work with Parker Law Firm, you can be sure that we will fight to get the proof necessary to present the strongest claim possible. And our fee will never exceed the recovery you receive, so you will not pay us out of your own pocket. Contact us as soon as possible after a crash with a commercial truck, so we can do what is necessary to protect this valuable evidence. The oil boom in the Permian Basin of West Texas is attracting its share of attention in the headlines these days. 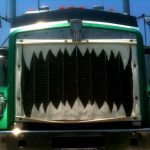 But not all of the attention is good, especially when it involves an increasing number of trucking accidents that lead to serious injuries and fatalities. One of the major reasons for the increase in accidents is the larger number of 18-wheelers on the roads traveling to and from West Texas. Another reason is that trucking companies and their drivers are disregarding safety regulations more and more in an attempt to make more money in an industry that has become highly competitive. One of the most important Federal Motor Carrier Safety Administration (FMCSA) regulations trucking companies and their drivers must abide by is the “restart” provision, which is designed to keep drivers from driving more than 70 hours per week. If the driver does hit 70 hours of drive time, they are obligated by law to rest for 34 consecutive hours, including at least 2 nights of rest from 1-5 AM, when their bodies need to rest and re-focus, according to FMCSA’s Hours of Service Rules. Unfortunately, this law is largely ignored and we are left with tired and inattentive drivers operating trucks that greatly outweigh the average commuter vehicle. Why are Trucking Companies Disregarding Regulations? This is a highly competitive industry, especially in Texas. Truck drivers are under an immense amount of pressure to deliver their cargo and to deliver it fast. Trucking companies usually pay their drivers by the mile, but not for the time they spend inspecting their trucks, resting, or taking any down time for repairs and maintenance. To maximize drive time, driving hours and service regulations are often overlooked and ignored. This results in drowsy, dangerous drivers, and trucks that are not properly maintained. These serious safety breaches can lead to accidents that cause serious injury or death and contribute to the increasing danger on the roadways. The business model that dishonest trucking companies follow allows them to cut delivery times, regardless of safety. Companies who do follow the rules lose business because they are at a large disadvantage. Cheaper, untrained drivers are then hired over well-trained drivers who do follow regulations, and our safety is the sacrifice. Many of these deceitful drivers go from state to state, hiding their accident records, failed drug tests or drunk driving incidents and get rehired. If you converse with any of the truck drivers, especially those who have lost their jobs, they will tell you about the pressure put on them by trucking companies. Many companies, they claim, completely disregard the safety regulations and procedures. Often times it is the trucking company, not the driver, who deserves the blame. These drivers are placed in difficult positions and sometimes threatened with their job if they don’t comply with dangerous behaviors that place lives at risk. Do You Have a Trucking Accident Case? These types of companies are clearly “aiding, abetting and encouraging” their drivers to disregard safety regulations, and need to be held liable for this practice. At Parker Law Firm, we believe that these companies need to be held accountable for placing of our lives at risk to make a dollar. We are experienced in trucking accidents and we know how to examine all of the evidence to determine if and when safety regulations were disregarded. If you or a loved one were seriously injured or killed in an accident involving an 18-wheeler and the accident was not your fault, you may be due compensation for your injuries, lost wages, and pain and suffering. Not only will you receive compensation that you deserve, you will aid in holding these underhanded companies responsible for the danger they place drivers in every day. Call us today for a Complimentary Strategy Session.